One of our son's responsibilities is to bring the mail in. I don't know about you, but we have already received toy catalogs from retailers. The toy catalog did not go unnoticed. Perhaps I should re-think his chore chart so that I can intercept the mail! I'm kidding. I am glad that he is excited about the upcoming holiday season. It gives me a nostalgic feeling of my own childhood. I can clearly remember my excitement looking at all of the toys! Our son has a good grasp on the meaning of the season and isn't at all a spoiled or demanding child. We are so thankful for that - trust me! I know a couple of kiddos that haven't quite learned the difference between naughty and nice! Retail pricing is not something that I am a not fan of so I like to look for deals! I was browsing on Groupon Goods and found a few fantastic holiday gift ideas that I think that our son would enjoy and that I would LOVE for him to have! They have quite an extensive array of toys and well known brands. 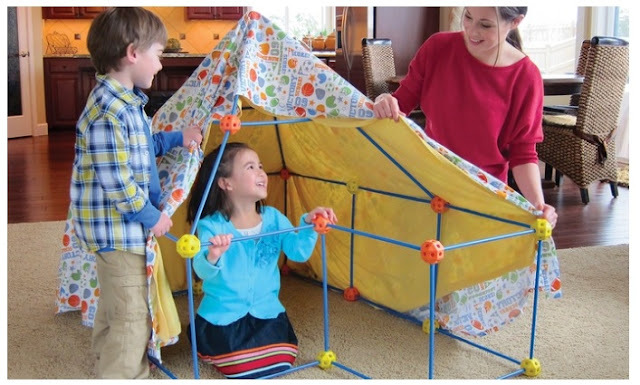 Our little guy has so much fun building living room forts, so I think that the Discovery Kids Construction Fort (72-Piece) would be awesome! We should probably order TWO sets since his building style can be quite grand! I did a bit of comparison shopping and can say that the Groupon Goods price was the lowest at the time I that I checked! Believe it or not, we have a kid that actually doesn't hate doing chores and welcomes responsibility. I am not sure how we lucked out but remain thankful for this each and every day! 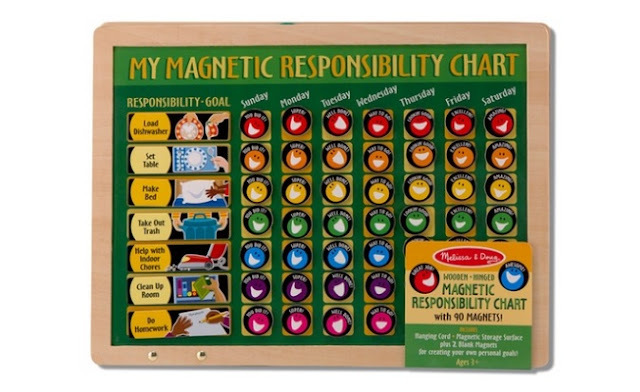 I really like Melissa and Doug products and was thrilled to find the Melissa Doug My Magnetic Responsibility Chart. 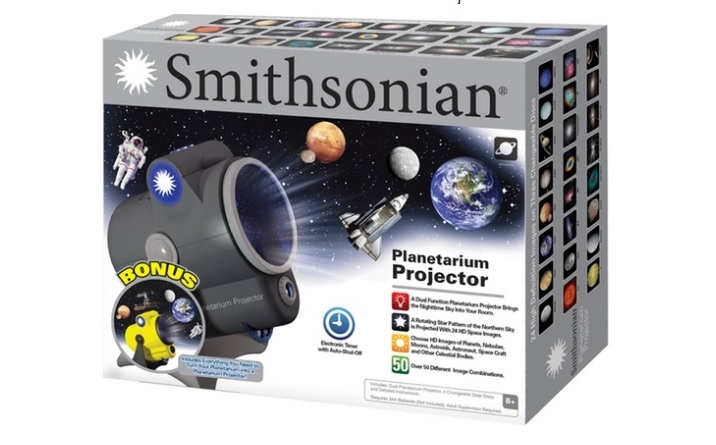 I also found the Smithsonian Planetarium Projector (with Bonus Sea Pack) which brings the Nighttime Sky into the room. How cool is THAT?! I'm not sure who would enjoy that more... the kid or me?! Viewing images like planets, nebulas, moons, asteroids and other celestrial bodies right in his own bedroom sounds very, very cool. At this point, I am FULL of ideas for things for the little one. 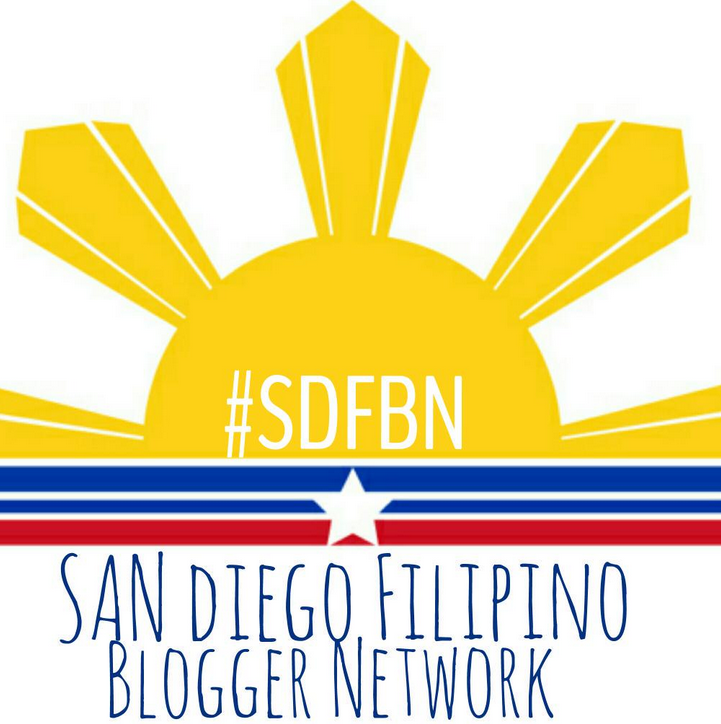 I have to say that I did browse for a few items that I may be adding to my own wish list! It also gave me TONS of ideas for those "hard to buy for" folks in our circle. 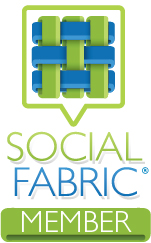 You can connect with Groupon Goods on facebook and twitter to keep up to date on the latest. I am hoping that you will share (in case I missed anything): What great products and deals have you found on Groupon Goods? 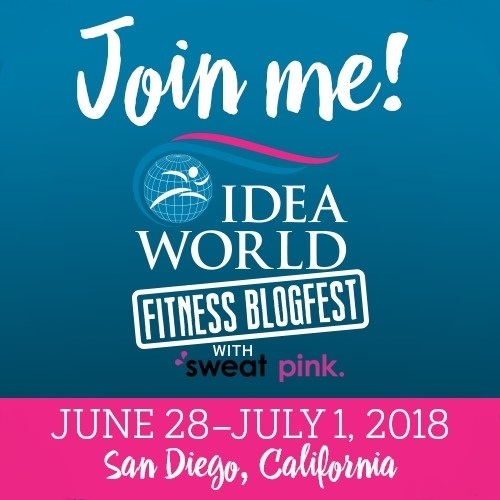 These are all great ideas. Thanks for sharing. I hope your son is having fun getting the mail...it is now my least favorite thing to do as an adult! LOL! Thanks Angela! These days it seems like the only mail that comes in is junk mail. He really loves when we get packages and always checks to see if it's his name on the box. So far it's a chore he doesn't seem to mind!